A Uygur man watches as an army truck full of Chinese soldiers patrols the street in Urumqi in China’s far west Xinjiang province on 8 July, 2009. Tensions have flared up regularly in this area, where Uyghurs are struggling for self-determination. Both Muslims and Christians in Xinjiang Uyghur Autonomous Region in north-west China find themselves under increased pressure from the Chinese authorities. An anti-terror mass rally in the southern city of Hotan in February, an increase in surveillance measures in public places, and the introduction of new anti-terror policies, are all part of a campaign that the government is rolling out against what it calls the rising threat of terrorism and ethnic separatism. In the past two years, hundreds have been killed in violent clashes, mostly between the indigenous Muslim Uyghurs and the ethnic majority Han Chinese. Behind the tension lies a long struggle for self-determination by the Uyghurs, who are the largest single ethnic group in Xinjiang and are Turkic-speaking Muslims. 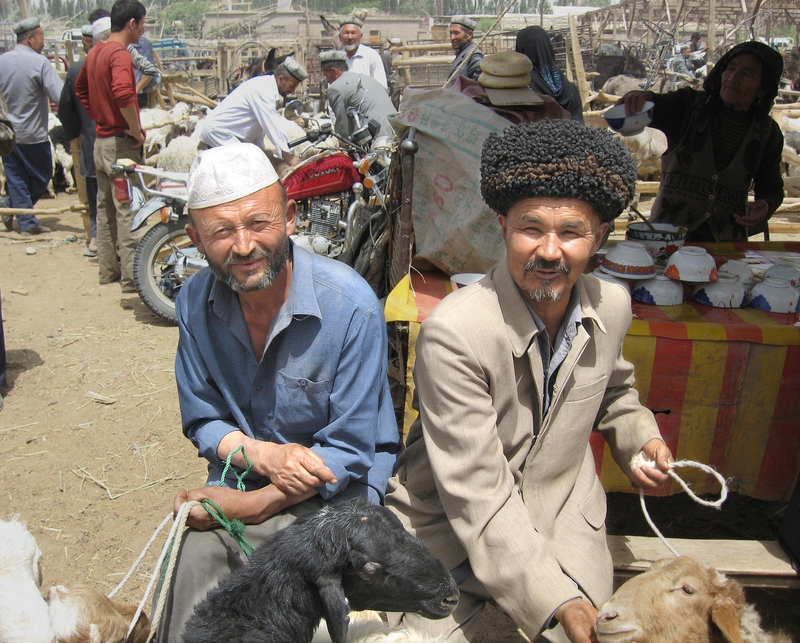 The region, however, has seen a large influx of Han people who, the Uyghurs say, have benefitted most from the investment in the area in recent years. Although violence largely seems to be motivated by ethnic tensions, Beijing especially fears the Uyghurs’ desire for independence. This has not been helped by recent reports about at least 5,000 Uyghurs who are apparently fighting in Syria alongside ISIS. In reaction to this and in a move to maintain its power through national unity and by limiting outside influences, the Chinese government has now employed strong anti-terror measures in the region. As part of the overall strategy, the Communist Party has set up a special bureau for Xinjiang, which oversees the situation in the region and is in charge of the development of policies, as well as assists in the implementation of the government’s decisions. One of the latest policies prohibits parents from giving their new-born babies Islamic names. Other anti-terror measures include a new mobile app that people can use to report “security threats”, a reward for those who help prevent terrorist attacks, a massive increase in surveillance and surveillance cameras in public areas, the introduction of face-recognition software, and the installation of alarms in every commercial property. According to Reuters, Chinese authorities have also started to impose travel bans on individual Uyghurs, and late last year began ordering Xinjiang residents to turn in their passports. In a more recent development, China has also started to order Uyghur students studying abroad to return to Xinjiang, with reports that authorities keep their families hostage in order to force them to come back. It is all part of the “thunderous” anti-terror crackdown that the Chinese authorities promised. Zhu Hailun, the region’s deputy Communist Party chief, said the authorities would wage an unflinching campaign against the separatists and Islamist terrorists, including a group called the East Turkestan Islamic Movement, whom they blame for the bloodshed. As the local government treats all religions equally, both the Muslim Uyghur population, as well as the Christians, are seeing their religious freedom curtailed. For Christians, any religious activities outside a registered church is considered illegal. 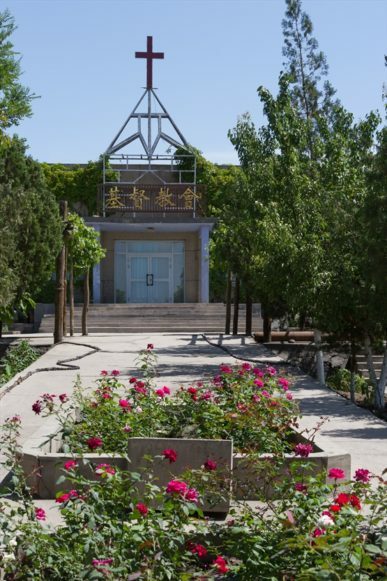 While in most of China there is a “grey area” in how religious restrictions are being enforced, World Watch Monitor has been told that pressure on unregistered house churches in Xinjiang is now particularly high. While the government blames much of the unrest on separatist Islamist militants, rights groups and exiles say that the increase of violence in the region is more to blame on anger at tightening Chinese controls on the religion and culture of Muslim Uyghurs. Human Rights Watch calls the new policies a “rights violation”. Sophie Richardson, China Director for HRW, writes: “These policies are blatant violations of domestic and international protections on the rights to freedom of belief and expression.” The rights group has also received reports about an increase in severity of punishments for those who do not adhere to policies. China has more than one reason to make sure the Xinjiang region is “secure”. Not only is it, with its natural resources, an engine of economic growth, it is also at the heart of the “One Belt, One Road” (OBOR) initiative, a large logistical masterplan developed by the Chinese government, which is supposed to redevelop the Silk Road into a new trade corridor. Last month, President Xi Jinping set out on a charm offensive, trying to get buy-in from other nations by promising loans, development aid and investment in infrastructure. However, during a two-day Summit he hosted in Beijing, he made clear that it comes with a few strings attached, including no interference in domestic affairs. At the Summit, Xi also met with Turkey’s Prime Minister, Recep Tayyip Erdoğan. Many Uyghurs have fled the growing oppression in Xinjiang in recent years, ending up in Turkey and sometimes travelling through to Syria to fight for militant groups there. Reuters reports that Ankara told China last year that it would keep receiving Uyghur migrants, as rights activists accused the Chinese government of religious persecution, which Beijing denies.